Manish Paul made his debut as a lead with the show Ghost Bana dost... Presently he is seen in the show Choona Hain Aasmaan as Farhaan as a man with a gr8 Iq!! 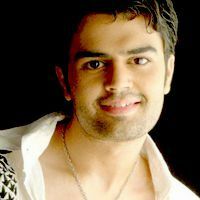 Check out the most updated and latest information about Manish Paul's on the Internet.We have 63 videos of Manish Paul including interviews, events, or public appearances.Manish Paul has over 184 Fans registered on India-Forums.com. We have 216 Television News articles related to Manish Paul.Do share your criticism, comments and feedback for the Actor on Manish Paul's comments page. We have over 86 Photos of Manish Paul to view and download including Manish Paul's Wallpapers. Congrats Manish for your fatherhood again..
@ManishPaul03 ki film Micky virus is coming soon guys,lets make Dua that the film is a super super hit. Filmy industry ke bachhon ko to bohot chance milta hai,@ManishPaul03 is an outsider,got the film on his own.go paul go!!!! Finally watched Micky Virus yesterday.awesome entertainer,@ManishPaul03 has done a mind blowingly fantastic job,don't miss it.watch it NOW! good luck for Mickey Virus! Manish you're just brilliantly hilarious! Or may I say... hilariously brilliant? I just love your hosting and sense of humor! Adha TRP toh tumhare liye aata hain buddy! Great job and keep rocking!! i'm so glad you're a part of jdj! good luck for your movie! Manish Paul you are truly awesome!! One of my favorite hosts!